Thought to do a few long day rides this long weekend. So off I cycled to Nylstroom and purchased some slime, knowing my back wheel was dry. Using some insulation tap strapped it to my carrier. Next stop was the biltong shop (beef jerky shop) to make sure the stomach had something to work on. Planning to ride for a full day with no stop for lunch. Then a little extra water just to fill up the water used to ride to Nylstroom. I love the signs I find along the road. Take a look at this. 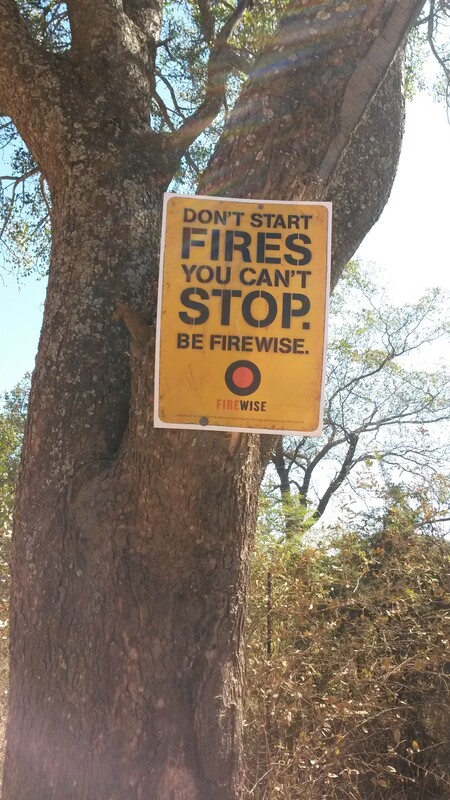 Every winter there is run away fires that are very difficult to stop in these mountains. They sometimes burn for days. Normally fanned by a strong wind. 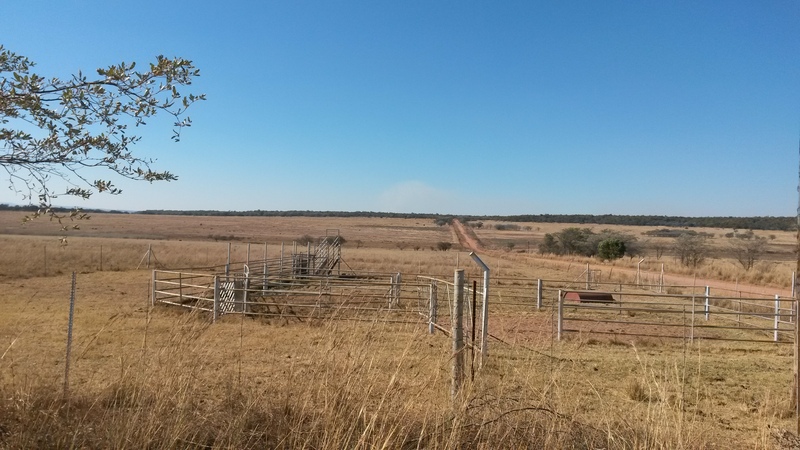 They often burn down game lodges and farm houses. Not easy to get into the hills with fire fighting vehicles so they have to fight on foot. Due to the trees and wind these types of fires are best put out by fire fighting vehicles and helicopters. However cost of helicopters is prohibitive. There were some nice climbs with some good solid gravel. I can see in the rainy season the road gets washed away in places. May get a little slippery. So if you want to try the Nyl zen oog road winter would probably be better. Interesting to watch the farms and lodges along this road. Most farms were small and can be seen that their economic viability has been pushed to the limit. Most turning to a mix of guest farms and agricultural practices. Others going all the way over to game farming. These tending to be up on the hills where irrigation water is limiting. Coming near the top of the mountains my water started to get low. I thought to get some water from the streams. As water is seeping straight from the mountains. At every stream I thought no let’s get at the next. To bad as at the top of the hill there was no nice clean streams to drink from. The top of the hills opened up to open cattle country. The road became very sandy with big corrugations making going very slow. Just had to ration water and eat some biltong to get the mouth wet. 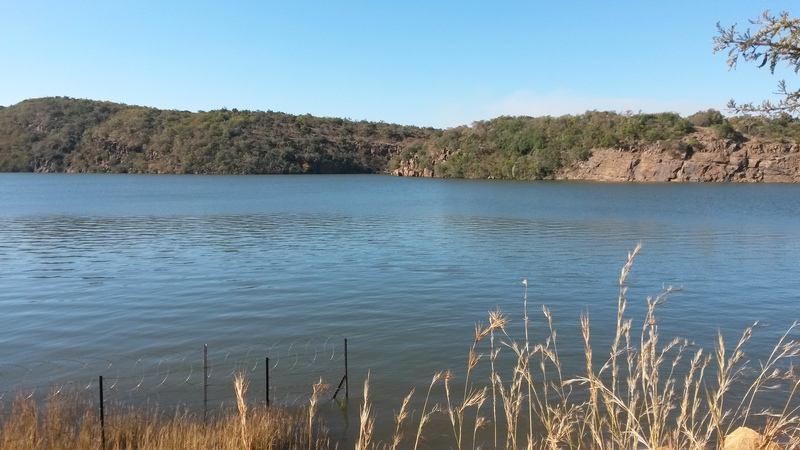 Came across the main water supply dam for the town of Nylstroom. What a nice deep body of water between the hills. Having steep cliffs coming up to wall it in. 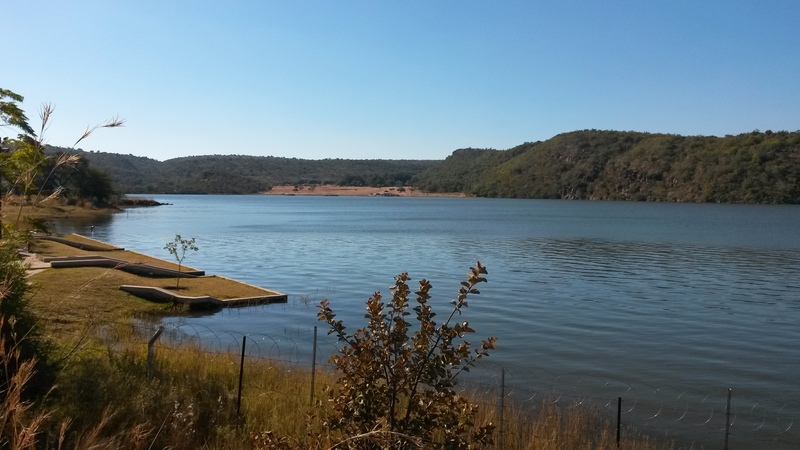 Name of dam is Donkerpoort. Round about here the bicycle wheel bearing started to give the same feeling as two weeks back. That time one ball bearing had worn flat on one side and had to be replaced. Put wheels back together after greasing them and all looked good until now. Estimated to be about 60 km from home so had a look and decided that I could not do much. Wind had come up and fortunately turning to ward home it helped. Knowing the condition of the bearing I set out on the tar road home from Nylstroom. Making it 132 km for the day with average speed 19.6 km/h. Stripping wheel down at home found the axil cone has developed some rough spots. Will have to make a trip to town, to get some spares. Looks like Jimmy cycles is seen a lot of me lately. 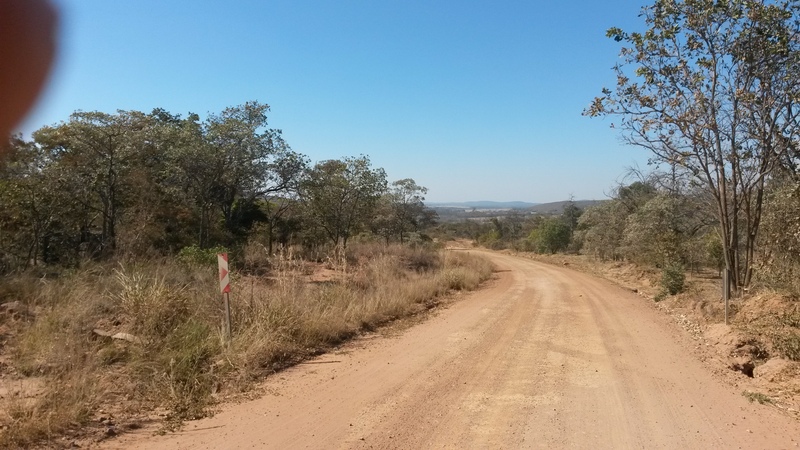 This entry was posted in Agriculture, Bicycle riding, Equipment, Sign posts and tagged Nyl zen oog, waterberg by krfarmer. Bookmark the permalink.